Group Call On IGP To Resign If He Cannot Abide By The Constitution! 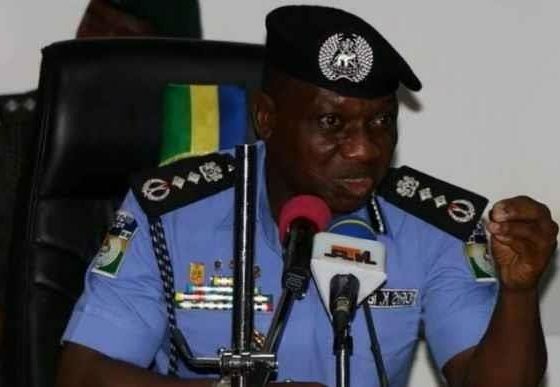 The Conference of National Assembly Legislative Aides (CONASSLA), a forum of current and former aides to members of the national assembly, has asked Ibrahim Idris, inspector-general of police (IGP), to resign, The Cable reports. The IGP has failed to appear before the Senate on three occasions. He was summoned over the growing insecurity in the country and the case of Dino Melaye, a senator representing Kogi west. After failing to appear before it, the Senate declared the IGP an enemy of democracy who is unfit to hold public office. But in response, Idris said he was being witch-hunted by the lawmakers. In a statement on Sunday, Abdullahi Al-Mustapha, chairman of CONASSLA, said the IGP should put aside his “short-sighted interests and ego” and brief the Senate on measures taken by the police to end the killings across the across the country. “People are dying and it is shocking that the IGP is choosing to play politics with the lives of Nigerians,” the statement read. “By failing to appear before the 109 elected senators to brief them on what the Nigerian Police Force is doing about the wanton and rampant killings across the country, the IGP is acting as if he is doing the 180 million Nigerians a favour in his current position. “If the chief law enforcement officer of the federation is also now breaking the law by failing to appear before the Senate in-person, based on sections 88 and 89 of the 1999 constitution of Nigeria, what hope do we have as a country? “We are sure that another reason that the senators want to see him is to question him about how far the investigation into the April 18th invasion of the Senate chambers has gone. “That was a huge embarrassment to the nation, and the speculation that law enforcement officers were amongst the so-called thugs that freely waltz into the upper legislative chamber must be quickly investigated and verified or disproved. The complicity of our security forces in this issue must be properly scrutinized.